Michelle Segismundo-Reeves LPC, LMHC, NCC ,is an ordained minister through "Fellowship of Christian Assemblies." She is an international speaker, professional counselor, educator, preacher and writer who is bilingual in English and Spanish. Michelle is seasoned with 23 years in the counseling field, 10 years as an ordained minister, holding a Masters Degree in Counseling through Western Seminary, now known as "The Seattle School of Theology and Psychology." She received her BA from Seattle Pacific University. She is a Licensed Professional Counselor (LPC), Licensed Mental Health Counselor (LMHC), and Nationally Certified Counselor (NCC). In addition, she is a certified trauma professional through "International Association of Trauma Professionals." Michelle has also been the worship leader for a Spanish congregation in the Seattle metropolitan area. She preaches with passion and teaches on the love of God and His healing power in conferences, retreats, crusades and home fellowships. 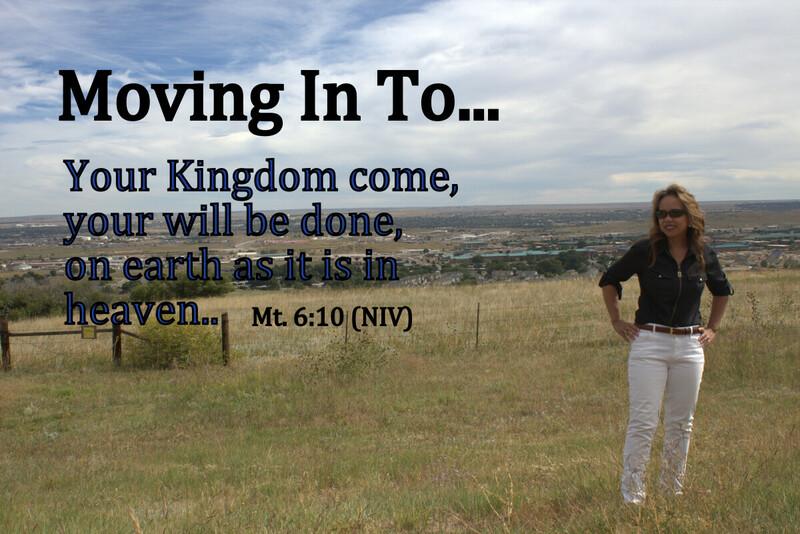 Michelle has ministered in many nations in South, Central America, North America, Africa and Asia. She has been married for 12 years and is a board member of Heart and Soul International. Carrie Dawson has been involved in church ministry leadership for 30+ years. She has sat on many boards and has served as a minister of music, teacher, secretary and treasurer. She is administratively gifted in these areas. She has served as a Christmas play director a number of years. She currently is ministering, holding a women's bible studies group for her church. She enjoys animals and has one dog, two horses, many cats and chickens. She has been married to her husband Kenney for 35 years and is a board member of "Heart and Soul International." Dr. Dan Hammer - is the founding and Senior Pastor of Sonrise Christian Center. The sending church of Michelle and Thomas. He did his undergraduate work at Seattle Bible College. He completed his Master's and Doctorate at Bakke Graduate University and holds and additional doctoral diplomas from Wagner Leadership Institute. He serves as a leader of the Northwest New Wine Network, the Washington Alliance for Reformation and the Northwest Apostolic Network. He is recognized as an apostle and member of the International Coalition of Apostles and has traveled internationally to the continents of Africa, Asia, Europe, including Cuba and Mexico. Dan and his wife Terry, have three adult children and five grandchildren. He serves as a board member and advisor. Pastor Thomas Reeves B.A, MDIV Thomas is an ordained minister through Fellowship of Christian Assemblies and endorsed with Chaplaincy Full Gospel. He received his Masters of Divinity through Kings Seminary, Clinical Pastoral Educations from MAMCE, and his BA from Northwest University. He presently ministers to individuals, families, leaders as a Chaplain. He has 27 years of ministry experience and 22 years in pastoral counseling, working in the inner cities, a mental health rehabilitation counselor and has been an Associate, Youth and Children's Pastor in multiple churches. He communicates effectively and preaches with excellence. He serves as a board member and advisor. Dr. Eugene Saunders - has been in pastoral ministry since 1987. He has served as an instructor within Christian School education, youth ministry, Chaplain for the US Army Reserve and the overseeing pastor. Eugene continues to serve as the overseeing pastor for 3 local congregations in the Portland metropolitan area. He has earned a Bachelor of Theology with an emphasis in Biblical Studies, a Graduate certification in Christian Ministry and Biblical Studies and a Doctor of Ministry Degree. He chose the King's University for both his Graduate and Post Graduate degrees because he believes strongly in a Holy Spirit empowered, partnered, and surrendered approach to the study of God's Word and mission. The King's University has set a high standard on Spirit Filled education. Eugene also serves as an adjunct professor for "The King's University" and a small two year commuter bible college in Canby, Oregon. He loves God, His Word, His people, His church, His mission for the Church to make disciples. He is a father of five children and states: "My wife and I have been married 23 plus years and she is wonderful. My family is a true gift and they have taught me so much about the Father's love and grace." He serves as an advisor to "Heart and Soul International." Marcelo Segismundo - is retired and volunteers his time in helping his home church in Washington, as well as for this ministry as a board member. He completed his education in accounting from "Honolulu Business College," in 1959. He has many experiences from holding a leadership position and management at a hotel, to having worked as a bank teller, book keeper, stock analysts and inventory accountant. He has many years in handling accounting. He has been married for 50 years, has two grown adult children and three grandchildren.